With decades of experience providing outstanding selection and value in fine Poipu resort rentals, Suite Paradise is the best source for a memorable Poipu vacation at an affordable price. The BBB of Hawaii has given us an A+ Reliability Rating and over half our guests are returning visitors, an astounding level of satisfaction. We've also received the TripAdvisor Certificate of excellence for more than three years running! Come enjoy a Kauai vacation in a well appointed and maintained Poipu Beach Condo. If you love the water you can surf, swim, snorkel, paddle board or kayak. Suite Paradise offers fine vacation rentals on all of Poipu’s best beaches, near historic Old Koloa Town on Kauai’s South Shore. Poipu traditionally has the best weather and is conveniently located at the midpoint of Kauai’s main roads, putting all the island’s riches within easy reach. Stroll through tropical gardens, relax on the beach, play some tennis or catch a round of golf on one of our world famous courses. We have well over 100 vacation rental condos and homes across many of the best Poipu resorts. Our vacation homes and condos in Poipu Kai, Nihi Kai Villas, Poipu Crater and Lawai Beach Resort are all highly recommended by knowledgeable travelers to Poipu and the South Shore of Kauai. As a Suite Paradise guest, you’ll enjoy the Garden Isle's scenic wonders from the privacy and comfort of your own Poipu vacation condo or home. Kauai's unique combination of natural beauty, native culture and modern convenience has won countless awards, including Newsweek’s #1 Place to Remember and Travel & Leisure's Best Islands in the World Hall of Fame. Poipu Beach is rated as one of America’s top beach destinations. Besides its exceptionally sunny weather and warm clear waters, Poipu Beach is ideally situated for exploring Kauai’s scenic wonders including the incredible NaPali Coast and Waimea Canyon, also known as the Grand Canyon of the Pacific. In addition to Poipu's pristine beaches, vacationers can combine golf, surfing, hiking, snorkeling, ziplining or kayaking with relaxing beach activities to create a unique and memorable vacation. In addition to competitive rates and Poipu vacation specials, we also offer generous length of stay discounts on your Poipu vacation. See what previous guests have to say about their Poipu vacation experience. Suite Paradise is in its fifth decade of providing fine vacation rentals in Poipu. 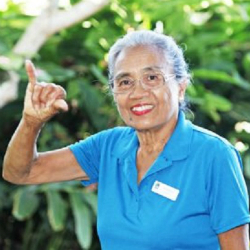 We are one of Kauai's largest vacation rental management companies. Located for guest convenience right in Poipu Beach, Suite Paradise offers a wide array of lodging and accommodation options, ranging from condo rentals at beachfront resorts to sumptuous vacation homes near some of Kauai's award-winning golf courses. Suite Paradise offers generous discounts on Poipu vacation rentals ranging from one to five bedrooms. Owned and operated in Poipu, Hawaii, Suite Paradise is licensed and regulated by the State of Hawaii. We have built our reputation on providing customers with better vacation resort accommodations at highly competitive prices. Our Kauai vacation rentals are highly recommended by travelers. Over 50% of our guests are returning visitors and their friends! 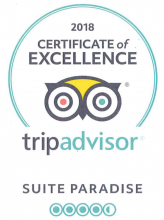 They trust Suite Paradise to consistently provide a clean, comfortable, well furnished, thoughtfully appointed and meticulously maintained home away from home in Poipu, the "Sunny Side of Paradise." See what our guests have to say about Suite Paradise. 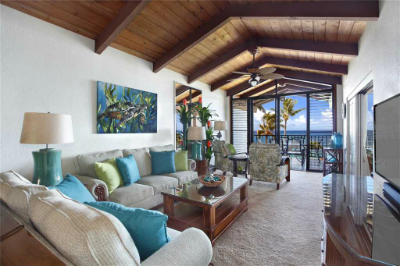 Beautifully landscaped grounds fronting spectacular ocean views, private lanai decks beckoning for alfresco dining, swimming pools, recreation and barbecue areas, plus land and water sport activities are just some of many things you can enjoy. We know Kauai, and will be happy to answer your questions and assist you with vacation planning. Choose from our large array of Poipu vacation rentals selected to fit every need. With discounted packages available, Suite Paradise is sure to have a Poipu beach resort vacation rental package to suit your travel plans and budget. See the Poipu Beach map for approximate locations of Suite Paradise beach resorts and Kauai vacation rentals, along with the proximity to sandy beaches and other Poipu area resorts and Kauai hotels. Spacious, completely furnished and well maintained Kauai vacation rentals; one to five bedrooms in Poipu with generous discounts for length of stay and online booking. Suite Paradise guests have access to some of the lowest airfares from the U.S. and Canada on major carriers arranged by a reputable independent air wholesaler. Featuring beach resort condos, homes and studio-cottages. Discounts are generous and increase with length of stay. Suite Paradise offers a variety of Golf Specials along with any Kauai vacation rental condo or villa accommodations. Discounts on Kauai sail cruises, kayaks, bikes, dives and other Kauai island adventures are available to guests of Suite Paradise. To learn more about our golf specials and more discounts, visit our Special Offers pages.